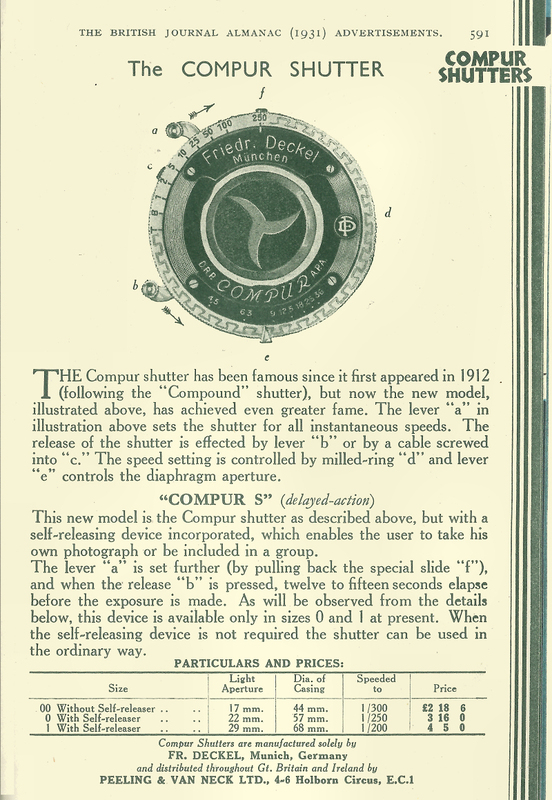 There's a lack of information about Rim-set Compur shutters, this 1929 BJP Almanac advert gives some information on themain variations. 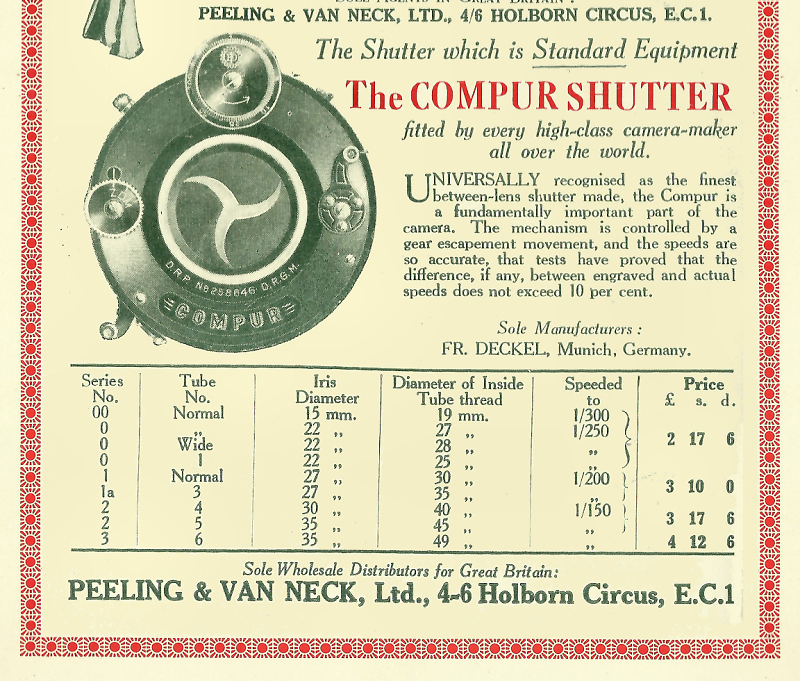 From the Peeling and Van Neck 1931 BJP Almanac adverts. They were the UK distributors of Deckel and Gauthier shutters. These were the modern standard sizes also used by Copal/Seiko, Epsilon, AGI, Prontor etc. 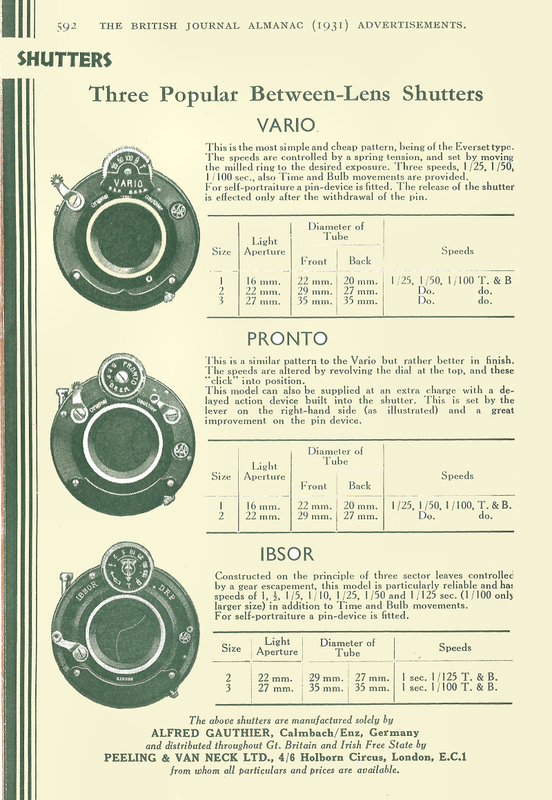 The Ibsor is self cocking, a press type shutter which was later replaced by the Pronor. Earliers Gauthier shutterswere simlar sizes to the Diala-set Compurs, there was an Ibso introduced in 1908, a 3 blade pneumatic shutter which was replaced by the Ibsor. An Ibsor #3 is interchangeable with a Compur (rims-set)/Copal #1.